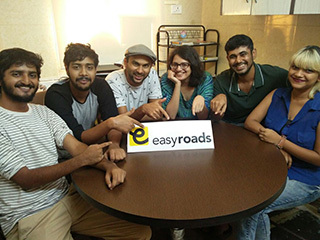 Easy Roads Technologies Pvt Ltd, a Mumbai-based startup that facilitates road trips, has raised Rs 1.3 crore ($200,000) from five angel investors in its first external round of funding, the company’s founder said. Sachin Parikh, who is also the startup’s CEO, told VCCircle the travel-tech company will use the funds to acquire customers and build a scalable technology platform. The investors are Rohan Angrish, CTO at digital lending platform Capital Float; Hrishi Oberoi, founder of mobile games development studio Photon Tadpole; Rahul Mehta of RoseBay Consultants LLP; Kapil Hetamsaria, CEO of Velvetcase.com; and Amsterdam-based trader Pranav Dedhia. Parikh launched Easy Roads in January this year. An alumnus of S.P. Jain Institute of Management & Research, Parikh said the startup helps travelers tackle the uncertainties related to road travel due to the lack of accurate information. Easy Roads enables travelers to discover, customize, book and navigate road trips in India through its app. The app includes a curated list of places to explore, points of interest along the way and details of the destination. It also offers roadside assistance, rentals for car accessories, pre-trip car check-up and rent-a-driver services to ensure the trip is safe. The app currently lists trips only from Mumbai and Pune but will soon expand to other cities, said Parikh, who earlier co-founded travel company White Collar Hippie. He estimates that the market for road trips in India is about $1 billion. Parikh claims Easy Roads has no direct competitors in India. However, there are similar apps in the US such as Roadtrippers and MyScenicDrives. The travel planning segment in India is dominated by online travel agents such as MakeMyTrip, Cleartrip, Goibibo, Yatra and ixigo. But a string of new-generation travel startups have emerged in recent years with differentiated offerings. Some of them have also raised funding. Noida-based Holiday Triangle Travel Pvt Ltd, which runs an online marketplace for finding travel agents and which allows direct booking of customised holiday packages, raised $8 million in its second round of funding led by Bessemer Venture Partners last year. Pune-based TripHobo mobilised $2 million from investors led by Mayfield and Kalaari Capital in March last year. The same month, Delhi-based Tripoto secured an undisclosed amount from IDG Ventures India and Outbox Ventures. A few travel-tech startups have struggled, too. Tushky, a 500 Startups-backed online marketplace for discovering leisure activities, stopped operations last August after it failed to scale up. In January, Yatra.com acqui-hired intra-city trip planning startup Travel-logs India Pvt Ltd. Last month, Techcircle.in reported that destination discovery portal Holidify was restructuring its operations and that one of its co-founders had quit. Cleartrip Travel Services Pvt. Ltd.